This can be a problem in the more rural parts of Arkansas. I love going "home" even though I left at the age of five. However it is true that it's very important for many of them that you be "Christian" which usually means some kind of Evangelical or Pentecostal Protestant. (I came from the rural part) They might get used to if you're not, but you're still alienated. In fact one man told my parents that the churches were the center of the community and that even if you didn't believe in any of it you should get involved in church activities. I got the sense some really didn't believe in any of it, particularly the men, but did believe it was important to go to be respectable. My grandpa would go to listen to the music and then leave once the music was done. I don't think he really had that much use for religion, not that he was atheist or anything, but going to the church in some capacity was socially necessary. So, despite being Catholics, my family did get involved in some purely social church activities. I mean the ones they could do and still be Catholics. Still this often wasn't enough. My oldest sister, at 10, got walloped with religious questions/insinuations by a public school teacher there. In the 1970s my hometown also had "Revivals" in the public school and my siblings were pariahs for not going to them. So my parents moved them to a Catholic school. (I think revivals in public schools was legally wrong by the 1970s, but little public schools in Arkansas weren't going to get sued not even by my parents) I think that public school had revivals until fairly recent times. However I think this is all a good deal less true in the larger cities. My family had some good Catholic friends in the Van Buren/Ft. Smith area. In fact they might be the best Catholics we ever knew. (As in both devotion and "living the faith" through charity, mercy, humility, etc) There were some fringe groups in the cities who hated Catholics or Mormons or Episcopalians or whatever, but I think there was more acceptance. I think Fayetteville is also a bit more cosmopolitan than the small towns. I think if I were to go back I'd go to a larger town or city. I as well as many on here take that as a huge personal insult. 95%, what a crock of bull..Have you lived here, if so, when and wher?? Let's talk football? Where are you getting your wonderful information? It seems to me the owner of the DAllas Cowboys is from AR, are you saying he knows nothing about the sport? By the way, I hate the Cowboys...What about Clinton, 20 years behind times, I don't like him either and I am sure Mike Huckabee is really stupid and uneducated..I could go on and on, but it is time for me to call the guys in from the back 40 so we can eat neckbones and cabbage for dinner with some sweet tea and greens!!!! Well look on the bright side. 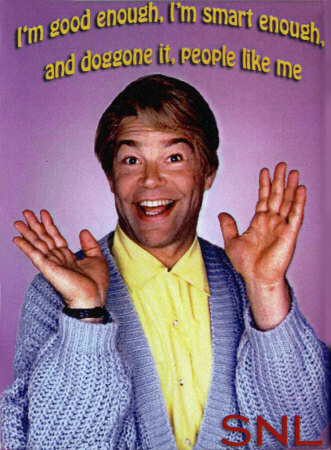 The "95%" rubes of Arkansas didn't wake this morning to find their new senator is......Al Franken. No one wakes up in the morning and says, "If only it weren't for Arkansas!" Probably a jilted lover or a Clinton hater: either way, do not dwell on it. People from Chicago and New York, particularly the women ...would do themselves a favor if they took a holiday in Arkansas, Kansas or Missouri: the men are fabulous and generally LOVE women! And, as you can see from the Clinton relationship (if nothing esle), these Southern guys are not control freaks who want to wrap women in leather and boss them around like these weird guys in the northern states. What more could you ask for than a guy who would actually LIKE spending time with you? Have you seen Brad Pitt's brother? He should be in the movies, too. I'm trying to cheer you up ...people say things that they shouldn't ALL of the time. Don't let it get you down, ok? I am from Arkansas, I have lived here all my life and I love my home state. I read a lot of post where people are against Arkansas and its people. I just don't understand why. Anywhere you go you are going to find good and bad qualities and anywhere you go you are bound to find good and bad people. Anyway with that being said I want to know why people feel this way, and what are they basing their opinions on (have they ever been here or are they just going on the never ended stereotype)? Here's your answer - There are exceptions to everything but generally speaking, like in 95% of the cases, people in Arkanasas are not very sophisticated or educated. They are 20+ years behind the rest of this country in every department including football. Poor, dumb, White trash covers a vast amount of the population. How long have you lived in Arkansas? I have been to LA, Dallas, Austin, San Antonio, British Columbia, Upstate New York, Florida and a few other spots and have found people to be about the same wherever I go. Some are educated, some are not, some are wealthy, many are not. Folks are folks. Now perhaps you are mistaking pretentious people for educated people. There is a great deal of money made in Arkansas, Stephens Inc. is one of the largest "off Wall St." brokerage firm in the country. Tyson is a huge company, and let's not forget about that old country boy Sam Walton and what he built. The Razorbacks have won outright a national championship. Can all of the places you deem as better claim that?John McDonnell built a track and field dynasty at the University of Arkansas the likes of which may never be matched. We have kids that get Rhodes Scholarships, get into Ivy League schools, become President, doctors, lawyers, etc... Are we less "progressive"? By some accounts, yes. Are we backwards and stupid as a whole? Not by a long shot. Do we enjoy the slower pace of life in general? Yes. The great thing about this country is the wonderful interstate highway system we have which run into and out of any of the 48 contiguous states so that we don't have to stay anywhere we find abhorrent.I hope you find/have found your happy place. TV and films parody the cultures of people who are not on the West or East Coast ...all about stereotypes. People in Arkansas and states south are highly educated, well-mannered and sophisticated in a way that the Californian (the ones making most of the stereortypes for the movies and TV), could never imagine. There are people who assume that a certain inflection or regional speaking voice makes the person ignorant ...remember with that actress/model's voice was dubbed because the film people thought she "sounded too dumb"
I don't even have a TV anymore (not since 2005), being online is much more entertaining. The television is just old series from the 50s, 60s, 70s, 80s ...who cares about them. Yet, the TV audience clings to them because ...Well, reading is out and you can see their mental power. Just find others for your social associations. Those "put-down" people are not worth your time anyway ...They live and act from a combination of fear and low self-esteem. By the way, don't be "sad" for them either ...because those "put-downs" keep them in their nice, safe, delusional comfort zones. I agree. The majority of people I have met in Arkansas are not the stereotypical vision that most outsiders have of them. I think they have been watching too much TV. It doesn't matter what state you are from, there are uneducated people everywhere. Judging and ...unexposed to "those other people" are the cornerstones of the Chicago attitude. Don't even go there ...even in the cities, the "rural" attitudes remain in Illinois. The 2nd city is all about faking the approved "cool" of the day. Some of you actually blame a whole state because one citizen created Walmart? You've got to be kidding me. Sherrenee, Those people you mention are so narrow minded and biggotted that they can't see the nose on the end of their faces. They label, judge and condemn based on superficial crap. Some of them act like the Civil War was yesterday. They hate what they can't relate to. They hate people who are different from them while stating that they accept all things. They say they are from California, from Seattle, From New York as if that somehow makes them "BETTER" than someone from another state. Well, I have lived and travelled all over and can state for a fact that the people are more accepting, more genial, more friendly in the lower half of the US for the most part. There are exceptions to every rule. I'd take 10 Arkansas citizens over 1 bad California citizen any day of the week in my home. I think people as a whole generalize. Umm, isn't that a generalization?